Monastery of St. George located on mountain of Kerdyllia, built in the second half of the 16th century. The panoramic view of Strymonikos Bay from Mount Athos to Thassos is outstanding. The Archaeological Museum of Amphipolis is located in the archaeological site of ancient Amphipolis (a city founded in 437 BC), near River Strymon at close range of the Thessaloniki–Kavala national highway and within the walls of the ancient city itself. There is a stone- built cist tomb under the museum itself. The Alistrati cave lies about 6 km southeast of Alistrati’s town at a place called “Petroto”. The expanse of the area is almost 14.000m2. The antechamber of the cave is 8 m height. It’s from this point that start different high galleries folly decorated with stalactites and stalagmites. The main branches of the cave are developed to the left and to the right of the entrance starting from a huge chamber, the Teception Chamber of a width of 60 m, a length of 100 m and height of 20-30m. It’s in this chamber that nature decided to demonstrate its power in creating ornaments. What fascinates the most is the huge stalactites and those pure white forming draperies. There are other chambers and their height is quite the same 8-10m. From the reception chamber and towards the left, emerges a second passage, quite parallel to the first. In this gallery there are even some red stalagmites which are called “The flames”. The height of these formations reaches 35 m.
The Aristotle’s Park, a unique theme park of Halkidiki, is located at an altitude of about 500 meters, in the historical village of Stagira, beside the remains of Machalas, the capital of Mademochoria. It is worth visiting for its interesting instruments and the great view to the gulf of Ierissos. The park preexisted and the wonderful location was chosen in 1956 to host the statue of Aristotle, made by sculptor Nicholas, in honor of the great philosopher who was born in Ancient Stagira. 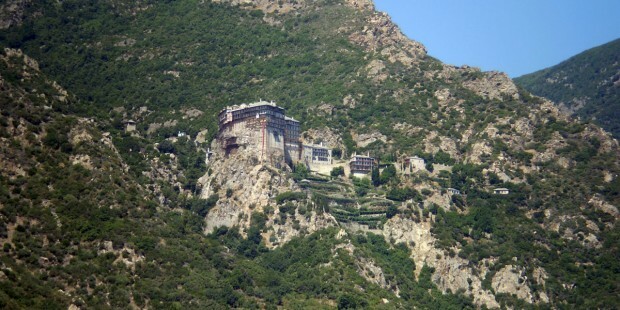 Mount Athos is a unique male monastic society. It is located on a peninsula in Halkidiki, in Northern Greece just some 130 km from Thessaloniki, an interesting city of byzantine tradition. 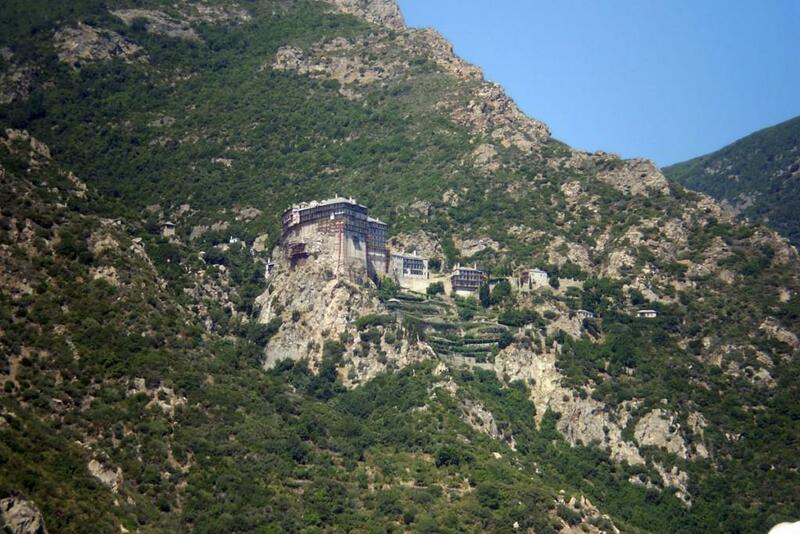 Mount Athos is a place where the visitor will benefit, regardless of his faith and state of mind. Here, one can come closer to himself. So, if you want to dive back in time and live an experience unlike anything else.